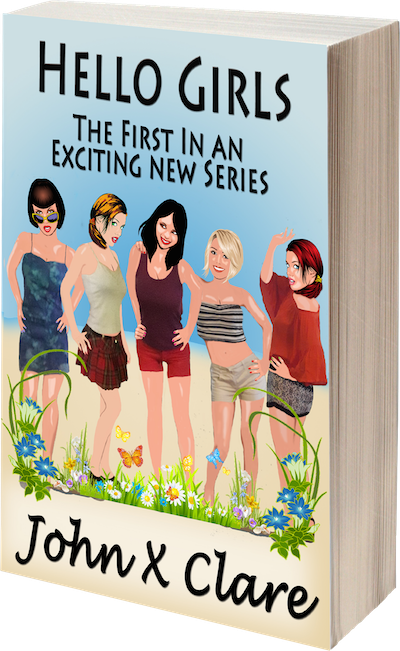 The first book in a coming of age series set in a small English village. Shy, tongue-tied Johnsie no sooner arrives at his new home when an unexpected knock on the door leads him headfirst into every boy’s dream - endless weekends as the sole boy in a gang of girls. Decidedly more sophisticated than Johnsie, the girls decide to mould him into their ideal sexual plaything. They settle in to a secret world of sexual exploration, lust, and first love far from the prying eyes of their parents. Get Your Copy of "Hello Girls"